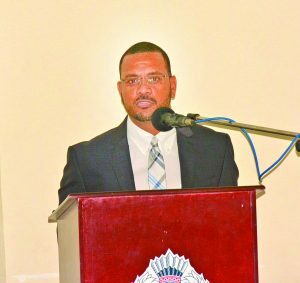 As Guyana continues its fight against narcotics trafficking, Head of the Customs Anti-Narcotics Unit (CANU) James Singh has stated that the country’s geographic location and porous borders continue to be a safe haven for drug traffickers. 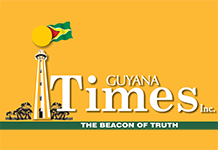 According to Singh, “transit” is a drug problem that causes the most crime and violence, and poses the greatest security concerns and challenges in the countries where it occurs such as Guyana. “Due to our geographic location, we are stuck in the middle between the suppliers in the Andean Region and the users, which as we have seen over the years, has gone all the way from North America to Europe, Africa and as far as Asia,” the CANU Head pointed out during a presentation at the launch of the National Drug Strategy Master Plan on Friday. The four-year plan aims at tackling the rising use and transport of licit and illicit drugs. 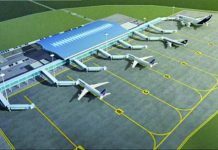 He noted that destinations of cocaine seizures in Guyana at both CANU and Police levels include the Caribbean, North America, Europe, Africa, Thailand and South Africa. Singh explained that the main reason for this expansion of the illicit trade from Guyana is cost, whereby these new destinations have much lower cost for the narcotics than the tradition destinations. The CANU head posited that recently, there has been a development of trade between drug cartels, that is, for 1000 kilograms of marijuana one can get a 100 kilograms of cocaine. “There is an ongoing trade and so we have gone from just transshipment to almost bartering – that is, for better marijuana, you get cocaine,” he stated. Moreover, Singh pointed out that while Guyana is bordered by Venezuela, Brazil, Suriname and the Atlantic Ocean, its North-Coast particularly comes under the microscope for scrutiny. “Most of the traffic involving narcotics comes by sea, it comes by sea or leaves sea because of volume – whether it’s a container ship or a small cargo vessel,” he stated. 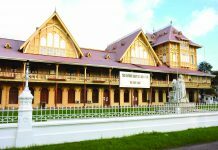 Guyana has a 670 kilometer border with Venezuela, a 1200 kilometer border with Brazil, a 624 kilometer border with Suriname and a 424 kilometer border with the Atlantic Ocean. 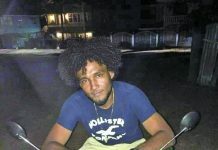 The CANU head went on to show photographs of two suspicious drug trafficking operations, noting that because of the lack of the relevant and adequate resources, the agency is unable to take further actions on these. Nevertheless, he said that CANU is currently working along with its local counterparts such as Guyana Defence Force Coast Guards, the Maritime Administration (MARAD) and the Guyana Energy Agency (GEA) to monitor the situation. “We have to constantly ensure that we take the fight and we are seen as proactive and not reactive… The whole idea is to stop the flow of drugs, the whole idea is getting people to go elsewhere and not take advantage of a country like ours, which some may say lack the resources as others. However, Singh outlined that cooperation with international partners is also a major factor in the work of CANU. He mentioned a case last year whereby a vessel that left Guyana was loaded with five tons cocaine and seized just off the coast of Aberdeen in Scotland. “It is due to the legal assistance cooperation as well as the UN Convention on the Laws of the Sea which gives us the authority to empower other nations to stop vessels registered in Guyana or also coming from Guyana and search. So you read about the seizures that occurred overseas but it was actually due to cooperation between us and that country that would have resulted,” he remarked. 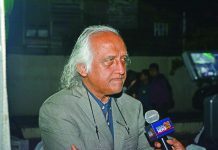 In addition to the many issues that local law enforcements face such as corruption and judicial reforms, the CANU Head noted that the lack of resources remain the major challenge but at the same time, they are cognisant of the fact that Guyana is a small country and cannot afford the cutting edge resources that other countries may have. To this end, he highlighted the importance of collaboration with partners both locally and internationally, especially with the emergence of new and innovative methods of drug trafficking. “We have to maintain a strong posture because if we are seen as being weak or we just keep saying that we don’t have the resources, we can’t do this then people are going to take advantage; so even when we are weak, we need to appear strong and that’s where it comes to close collaborations,” he stated. Singh went on to say that the National Drug Strategy Master Plan gives CANU the opportunity to not only deal with the enforcement aspect of fight drug trafficking but the education aspect. 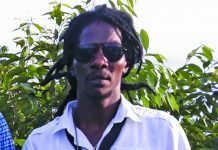 He posited that CANU’s aim is not only to go out there and just look for drugs, but to deter people from bringing the illicit substance into the country.